It may have come as a surprise to you, but with the release of OSX Yosemite startup items are finally deprecated. Apple announced quite some time ago that startup items would be deprecated, they just never said when it would happen. But now we know that it happened with Yosemite. If you run MySQL on your Mac, you discovered that it no longer starts when the OS restarts. You also learned that checking "Automatically Start MySQL Server on Startup" in the MySQL Preference Pane installed in System Preferences has no effect on starting MySQL either. There is a solution, however. 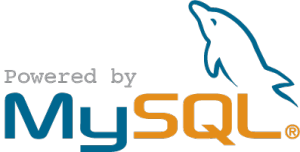 The answer lies in creating a MySQL Launch Daemon. The process is documented at the Mac Developer Library in a document titled Creating Launch Daemons and Agents. But rather than have you read through a lot of dry documentation, create a new file called com.mysql.mysql.plist. Save it to Macintosh HD/Library/LaunchDaemons/. If you did everything correctly, MySQL will launch every time your system restarts.